A Filipino Style of Arroz a la Cubana. 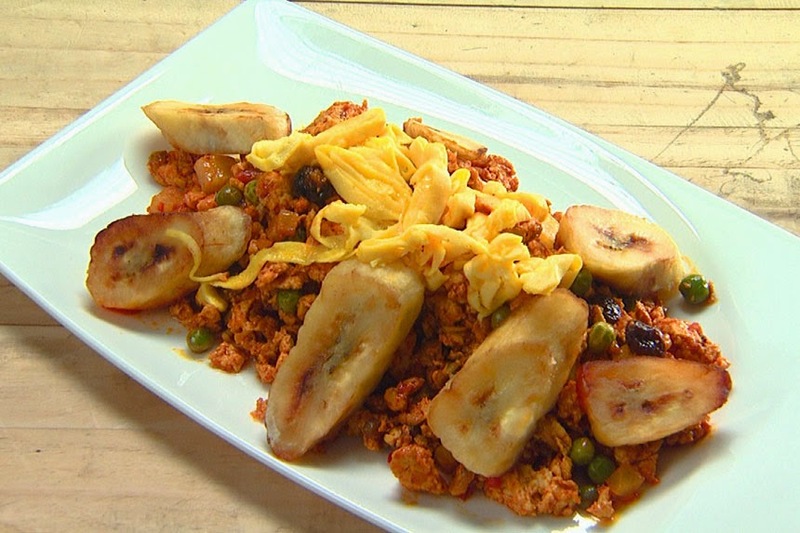 This dish comes is served with fried egg and fried plantain banana (saging na saba). Try this yummy variation using chicken giniling instead of ground beef. 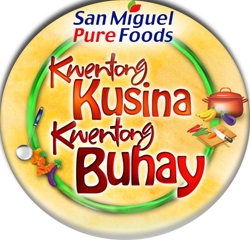 You'll be amazed on how it blends the ingredients so well. 1. Saute garlic and onions in achuete oil. Add bell peppers, potatoes and chicken giniling. 2. Add raisins, green peas, soy sauce, oyster sauce, black pepper and sugar. 3. Cook for 8 to 10 minutes over moderate heat. 4. Heat oil then pan fry banana slices until golden brown. Drain oil on paper towels. Set aside. Pan fry scrambled eggs. Serve with fried banana saba and egg.